"HERO6 and Fusion, our 5.2K spherical camera, are on course to launch later this year "
Delivered to FCC for RF compliancy testing i late may 2017. Power source in FCC test: Li-Ion 3.85 V /1220 mAh. This is the same capacity as the current Hero 5 battery. 4K60, 1080p240, 1440p120 video recording capabilities. The Hero 5 Black and Hero 5 Session will still be available. The new Hero 6 Black will be more expensive. No mention of the high frame rate (1000 fps) found in the new Sony sensor. Higher price! 500 usd? Or more? 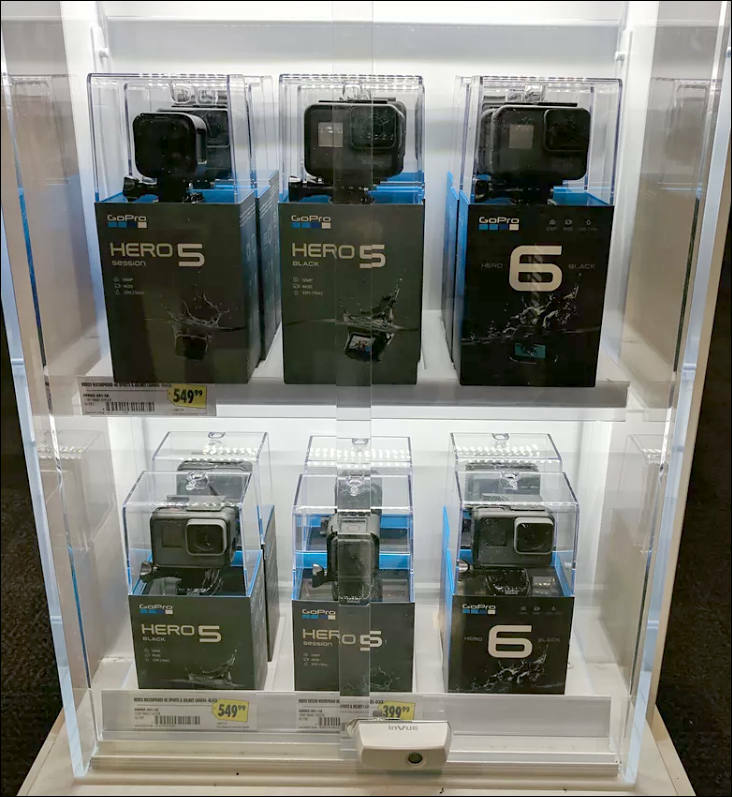 Surely that is not the way forward for GoPro. there is no word about RAW improvement which GP needs so much. A picture of the redesigned The Handler mount. @konjow nothing about the possible new features have been leaked. However, the SC2000 is only capable of H.264 (and H.265) encoding up to 4Kp30. Which means that if GoPro is using a Socionext chip, it must be either a custom design or a new processor that is not yet widely available. It would be nice if the GoPro 6 supported H.265 as a recording option though. Why they'll use such strange LSI? Most probably LSI is either same as Yi 4K+ or some Qualcomm mobile one. @davedv The socionext reference popped up in an investor speculation earlier this summer. 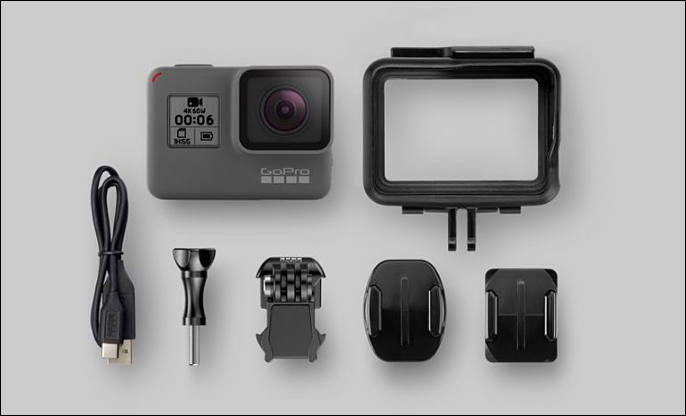 "What's more, it sounds like GoPro will be switching to a custom processor for the new model, the GP1, which may give its engineers the chance to boost battery life or image quality. " "HERO6 Black to have much faster wifi speed due to 5GHz wifi channel. Also touch zoom." "The Karma system will get a software update that adds a “follow me” mode similar to what’s found on DJI’s drones." "The Karma stabilizer grip, which lets users shoot with the drone’s gimbal in a more handheld fashion, will also get a physical update. 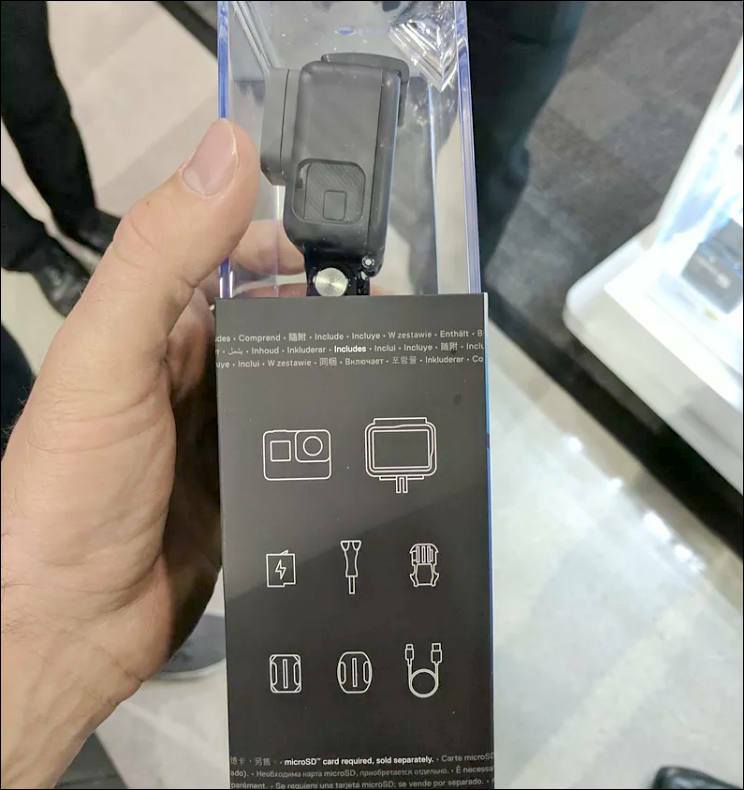 The new version will have more options, like a joystick for aiming the camera, that also bring it in line with DJI’s offerings." CAMERA REQUIREMENTS Your camera must be running the latest software. For details, visit gopro.com/update. This flyer seems to confirm the previous leaks. 4k60 / 180p240 = 2x performance in marketing talk. Typically GoPro. 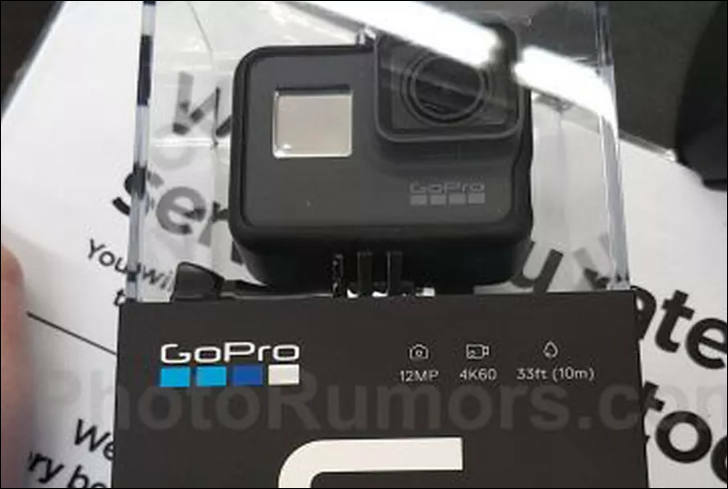 Also it confirms Gopros "own" GP1 processor. The redesigned "The Handler". 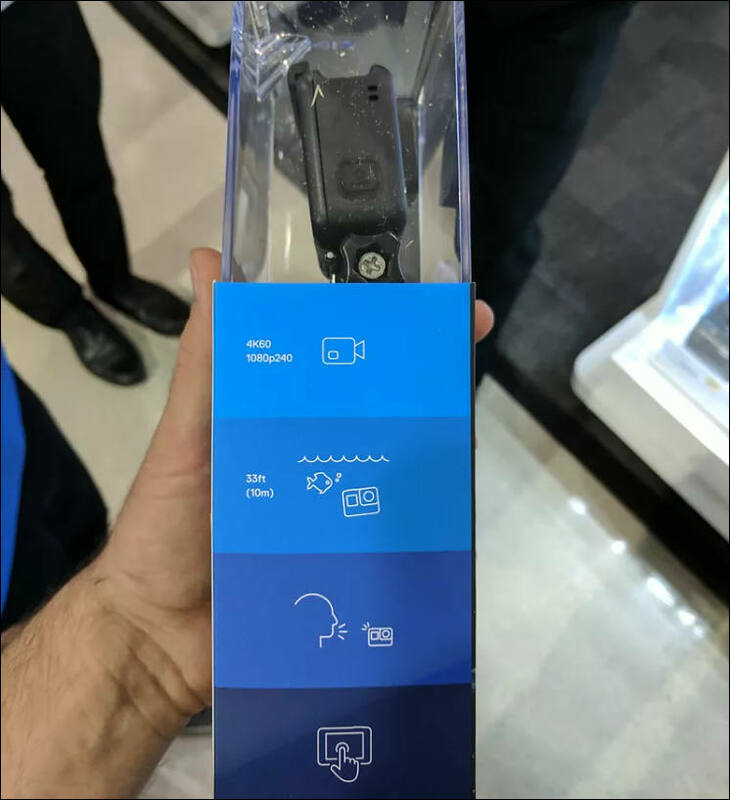 Photo leaked from Adorama. Must be the worst GoPro leak ever. The only thing missing is a picture of the new Karma Grip with a joystick. It has been confirmed that the Hero6 (at least for now) maxes out at 240 FPS even in 720p mode.